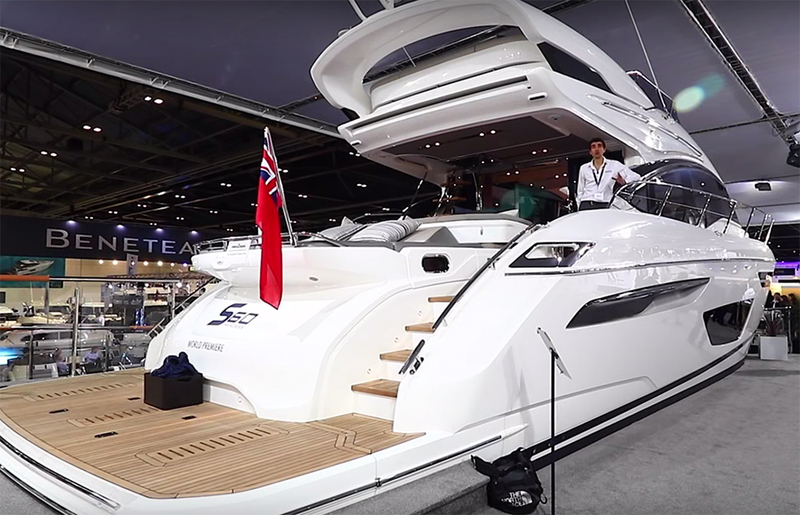 Alex Smith takes a short tour of the Princess V48 – one of the smaller vessels in the Princess range – at the Southampton Boat Show. Plymouth-based builder, Princess, has enjoyed some very good times of late. 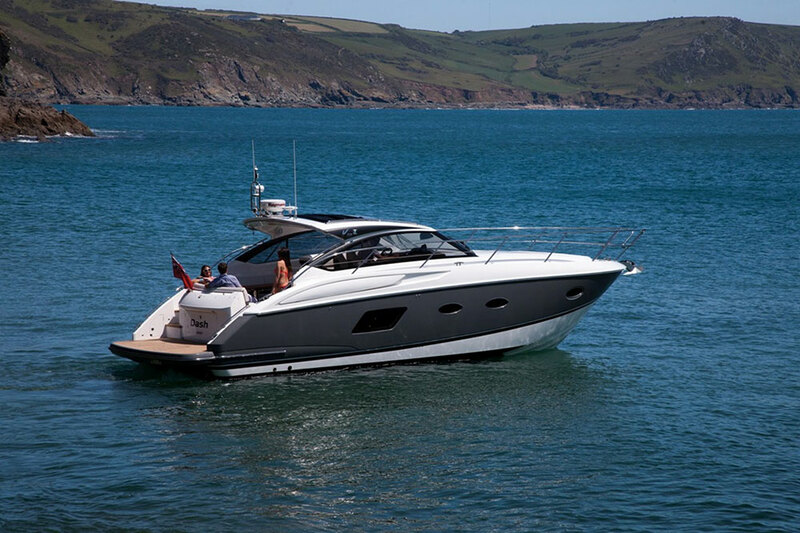 Having launched its smallest craft for almost 20 years in 2012 to claim the prestigious ‘Powerboat of the Year Award’, it also introduced its largest ever craft in that very same year and became a finalist at the World Superyacht Awards. 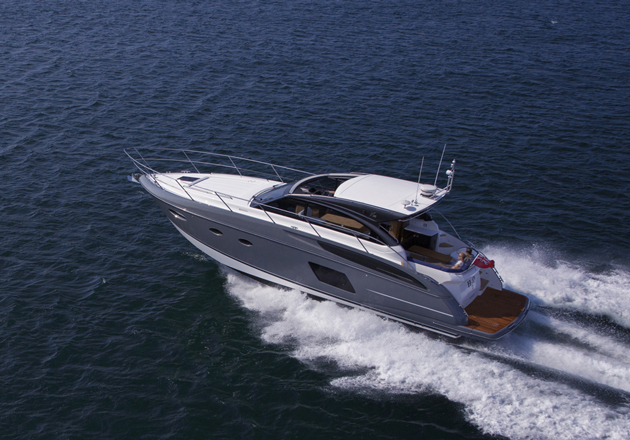 It then built on these conspicuous successes at the London Boat Show in January 2013 with two new flybridge motoryachts before heading to the Southampton Boat Show with yet another pair of new designs – the 88 Flybridge and the V48. 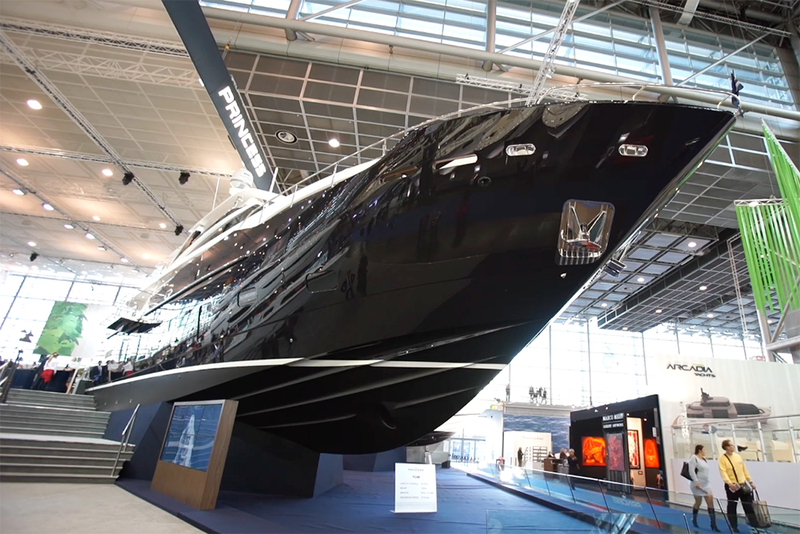 Watch Alex Smith's Princess V48 First Look Video here. 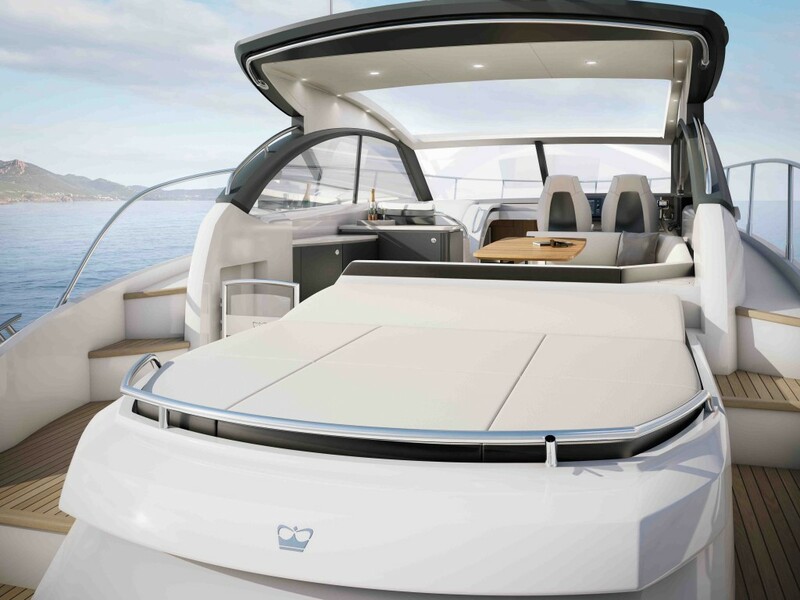 Princess V48: A mid-sized sports cruiser with pod drives – and extra accommodation below as a result. 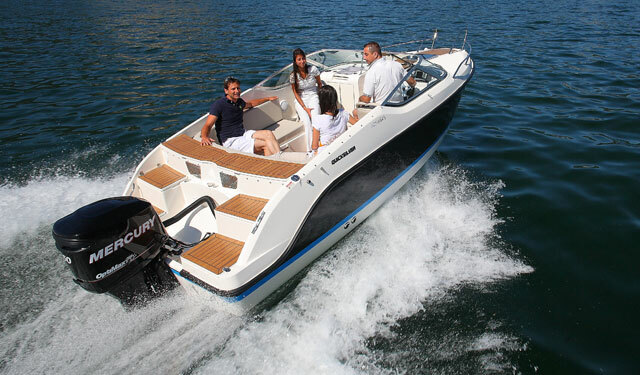 The V48 is a mid-sized sports cruiser with a very modern cockpit design that you can specify either in ‘Open’ or enclosed deck configuration. In either case, it is built using Princess’s resin-infusion system to help generate strength, rigidity and efficiency without paying a penalty in terms of weight. 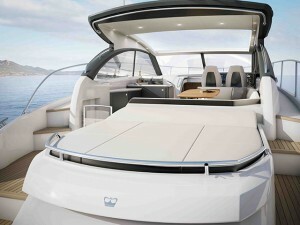 However, what really sets the V48 apart is the unprecedented inclusion of Volvo Penta’s IPS system. The Volvo Penta IPS pod-drive engines take up significantly less space than shaft-driven engines, permitting more extensive accommodation below. Head down below and it is plain that the extra space freed up by the use of the pod drives is very well exploited. 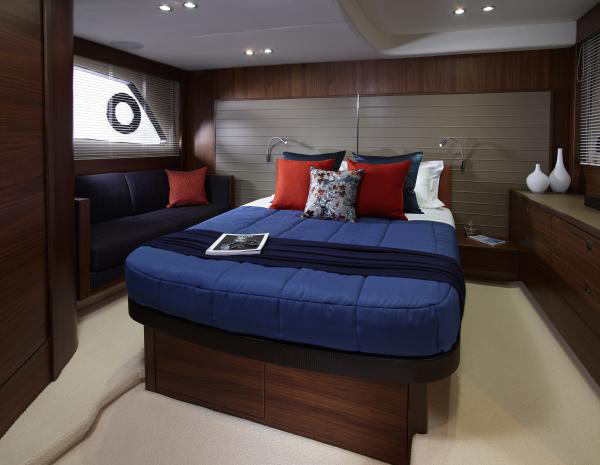 You get a full-beam stateroom amidships plus an ensuite forward guest cabin with an optional (and really ingenious) ‘scissor berth’ that enables you to use either twin or double beds. Between these two main cabins, at the bottom of the exceptionally well lit steps, the port galley is set opposite a starboard lounge/dining area that can be converted into a double berth or else specified as a separate third cabin. What you have here then is authentic sleeping capacity for six, plus sufficient versatility built into the options list to match it to your purpose. Up top, even the ‘enclosed’ version comes with a generous sunroof, a raked screen, narrow window stanchions and triple aft doors to help add plenty of natural light to the equation – but the Open model takes this a step further with a canvas roof that offers all the light and air you could want without unduly exposing you to the wind, sea or spray. You also get a wet bar, a large sunpad and a more staggered, asymmetrical and (for my money) attractive seating layout. 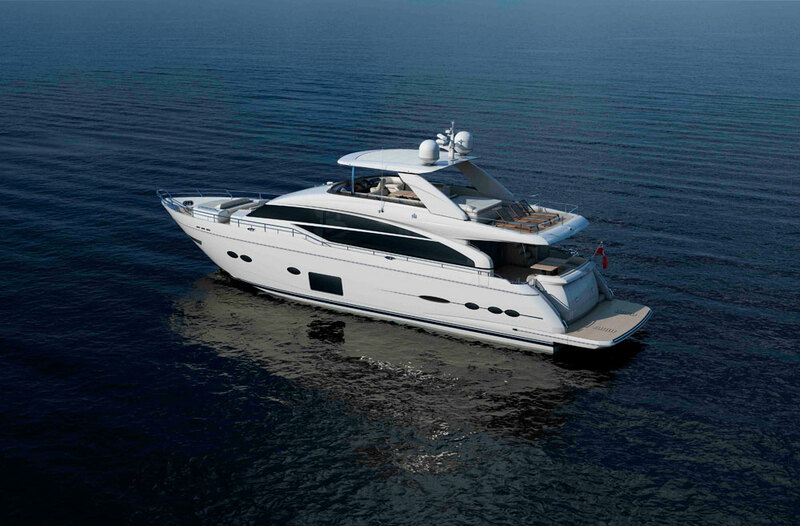 Of course, the fact that we viewed her on a show stand means we can’t yet vouch for her performance, but Princess is no stranger to this hull length, so the inclusion of IPS looks likely to offer some extra efficiency to the mix plus outstanding close-quarters control from the joystick interface. As for the refinement of the passengers on that main deck, the natural advantages of IPS as regards noise, vibration and fumes are sufficiently well established to suggest good things here too. 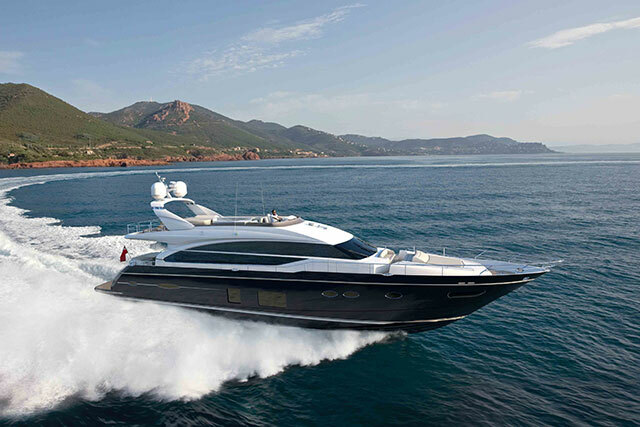 With a range that encompasses 21 boats from 40 to 132 feet in length, the V48 might seem like small news for the Princess stable but its commitment to the IPS route and its availability either with an enclosed cockpit or an open configuration marks it out as a very conspicuous and worthwhile tangent in the current fleet.